How are nonprofits and NGOs using technology today? And what are the trends and the opportunities your organization can capitalize on? The data is in. Whether you want to pick up some best practices and ideas for improved engagement, or just see how you compare to other nonprofits around the globe, you’re in luck. The newly released “2017 Global NGO Online Technology Report” (link below) is full of fascinating data. We combed through the numbers to pull out our favorite statistics that you can use to take your organization’s content and engagement to the next level. The research, assembled by Nonprofit Tech for Good and Your Public Interest Registry, comes from a survey of 4,908 NGOs (non-governmental organizations) from 153 countries across six continents: Africa, Asia, Australia & Oceania, Europe, North America, and South America. The highest number of respondents came from North America at 44.1%, 82% of which came from the United States and another 14% from Canada. The goal was to examine nonprofit/NGO usage of email, blogging, social media, and mobile technology, and its effectiveness in terms of engagement and garnering support. Live broadcasting is on the rise. 52% of NGOs and nonprofits said they have used social media to report live. Whereas live tweeting has been a popular tool among many orgs and businesses for years now, Facebook has made aggressive moves into live video streaming over the past year, with 79% of organizations now having at least tried the functionality. Twitter, which recently acquired Periscope and is now offering live streaming, as are dominant video platform YouTube, and millennial favorite Instagram. With high bandwidth broadband connections now the norm at home, in the office, at wi-fi hotspots and on mobile networks, the appeal of—and demand for—video appears to be on the rise. When it came to how nonprofits rated the effectiveness of these tools, however, a different picture emerged, with North American orgs feeling that social media was on average less effective than their global counterparts. Possible reasons for that could include the feeling of over-saturation in the space, with too many brands competing for attention and too many platforms to keep up with. In fact, social media didn’t break into the top three tools. Only 34% of North American nonprofits have a written social media strategy. Two thirds (66%) of those surveyed said that their executive staff prioritizes social media in their funding and communication strategy. For those that don’t, the top reason was due to a lack of social media knowledge. The responsibilities of handling social media for organizations fell upon a wide range of dedicated and non-dedicated staff positions. Volunteers were responsible for social media in 18% of nonprofits surveyed. These numbers may be indicative of a combination of low prioritization, unclear goals and ineffective use of an organization’s resources. Despite Facebook and Twitter having higher use ratings than other modes of technology, emails and blogging were rated as having higher effectiveness. It’s possible that people who take the time to read a blog post and/or email newsletter are more invested in supporting the cause. A Facebook post, on the other hand, may get a lot of likes, but no further action is taken as users’ feeds are filled with an infinite scroll of “next great things” to click on. Social media is most effective in creating brand awareness. However, turning awareness into donations is still only somewhat effective through social media. This may also stem from the frenetic, dopamine-inducing nature of social media. For example, thanks to Facebook a user may learn that a cause exists, but might not take the time to engage (or donate) donate when there’s a funny viral video in the very next post. Text messaging was used by 5x as many organizations around the world as compared to North America (3% vs. 15%). At the same time, 77% of nonprofits in North America (and 74% globally) identify texting as either “very effective” (29%) or “somewhat effective” (48%). This may be an indication of the prevalence of smartphones (which offer many other access modalities) and broadband data plans in the U.S., versus negative attitudes towards texting based on intrusiveness, and the overage fees on messages beyond those included in a monthly plan. It seems that direct messaging in general is more prevalent and accepted in other parts of the world, where WhatsApp (owned by Facebook) is a dominant system, used by 16% of NGOs surveyed around the world. In contrast, 92% of the organizations surveyed globally (95% in North America) use Facebook. However, only 20% of the North American orgs surveyed saw it as a “very effective” tool—the lowest of all areas surveyed, with 54% thinking it was only “somewhat effective.” This shouldn’t be surprising, as Facebook’s organic reach has dropped significantly over the past year. As more North American carriers’ plans now include unlimited text messages and more apps on smartphones send notifications via text and Facebook Messenger, this appears to be an opportunity to connect with supporters on a channel that is relatively underused. Your Mileage May Vary…but it Helps to Have a Road Map! 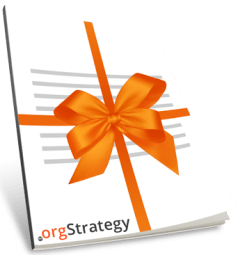 The fact that only 34% of nonprofits have a written strategy means that there is potential for a lot of improvement, and for smart organizations to rise above the noise. Take a look at your followers and likes in each social medium. Which are the highest? Are they also among the more effective modes of communication as indicated above? If not, maybe consider shifting the bulk of your energies to those channels. Social media is a must to make people aware of your brand. However, asking for donations through social media tends to be less effective. Blog posts and emails with engaging stories make your cause more personal and therefore more likely to be supported. By incorporating the information from this study into your strategy you are more likely to achieve the results you are looking for! Social media channels change over time, but email updates are still considered the most effective tool. Email inboxes are less distraction-prone than social media feeds. More people feel like email is a productive use of their time, versus social media browsing. The format of an email is a lot more flexible than a tweet, photo, or status update, allowing you to craft your story and your call to action. A supporter who gives you her or his email address is expressing a level of trust, and value for the work your organization is doing and the content that it’s sharing. We spend a lot of time crafting articles to give nonprofits the best chance at making the largest impact on the world that they can. We also curate the most important online news for nonprofits and put it in a weekly newsletter. And as you now know, email is the most effective tool to share knowledge. While we’ve teased out many of the results we thought your nonprofit needs to know, the full report has so much data it would be impossible to do it justice. Download the full report now from Techreport.ngo .